OMG Posters! 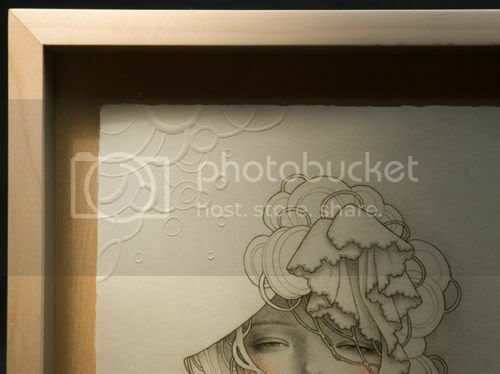 » Archive "Okimiyage" Art Print by Audrey Kawasaki - OMG Posters! Wow, what an amazing print. 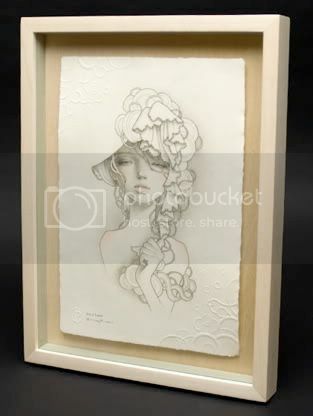 “Okimiyage” by Audrey Kawasaki is the most recent project by the unbelievable Pressure Printing. 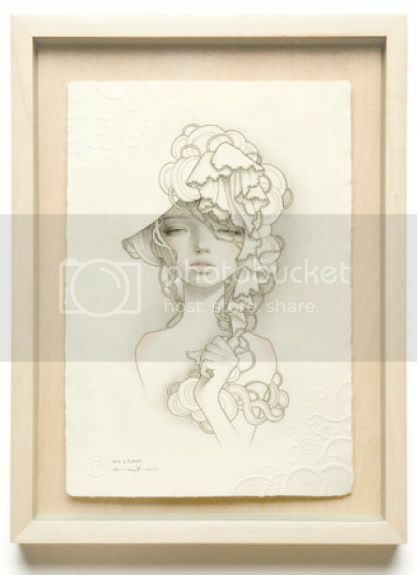 The image was printed intaglio, is about 9″ x 13″, has an edition of 50, and is $1500. 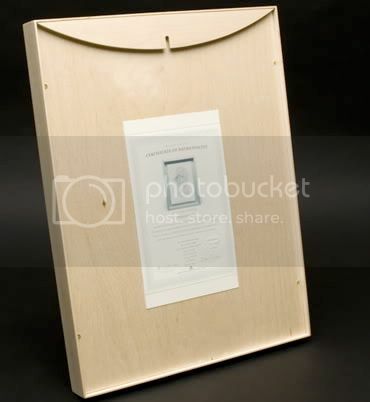 Yes, that is definitely a steep price, but consider the craftsmanship. Each one was beautifully printed, then sent to Audrey to be signed, numbered, and hand-colored (she did all the pink on each by hand). 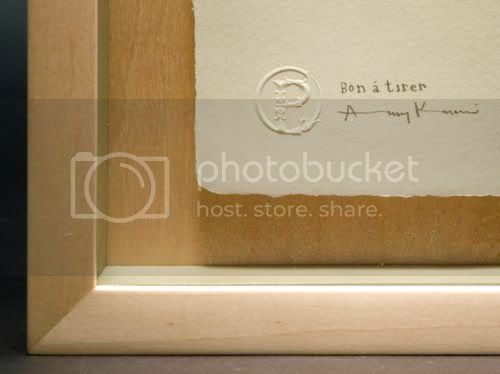 It was then embossed and chopped, and Pressure Printing built all of the soft maple frames by hand. Pretty impressive project. In my eyes, this is insanely intricate, but is it worthy of the price tag? I’d love to hear what you guys and girls think. Either way, check this thing out at PressurePrinting.com. You can also see a blog chronicling the production of this piece step by step HERE. wow……i could buy a paul pope drawing for that price…. IF YOU WILL LOWER THE PRICE I MIGHT BUY IT. 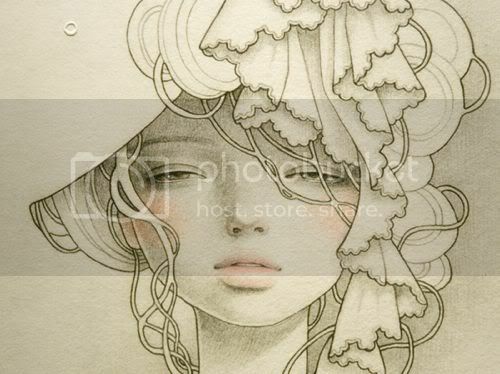 Audrey Kawasaki’s work very formulaic, stale, gimmicky and repetitive. I would rather invest on someone like Lori Earley. I can’t stand how people just eat her crap. Kawasaki’s work are the same subject again and again. I don’t see any versatility in her work at all.